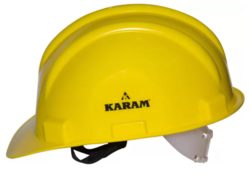 We supply all kinds of personal protective equipment (PPE) from top brands such as Karam, Udyogi, Malcolm, 3M, Bata Industrial, etc. Quarter Lining: Netlon padded with foam. 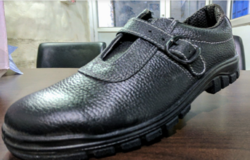 Double density PU/ PU sole for high durability and flexibility. 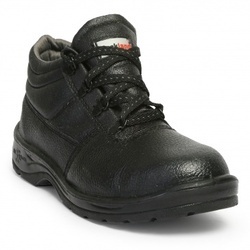 Antistatic, Oil or Acid Resistant, Anti Slip and Heat Resistant with shock absorbing property, Anti Fatigue. 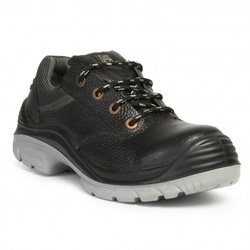 Upper Made from Buff Crazy Horse Brown leather. Quarter Lining Has a special Breathable Drylex lining,3D fabric. It prevents moisture and perspiration, providing high sweat absorption property for a dry feel. 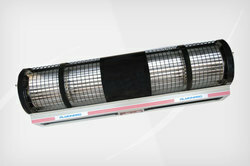 It is also highly resistant to abrasion. 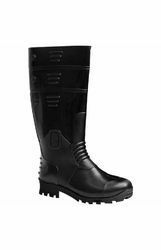 Vamp Lining Comfortable, Breathable soft fleece lining provides soft feel to the toe area. Insock Extra cushioned soft moulded In-sock for better arch support and an extended comfort. 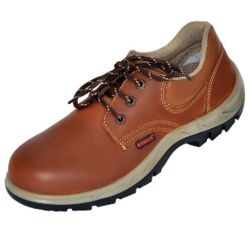 Double density PU / PU sole for high durability and flexibility. 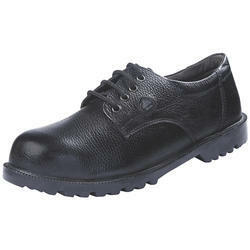 We are into wholesaling of Bata Industrial Shoes meant for safety in industry. We also supply other brands like Karam, Acme, Udyogi, Tiger, etc. 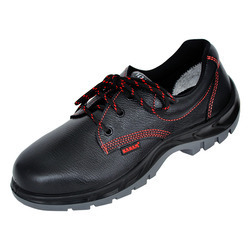 We supply Industrial Safety Shoes for both men and ladies in brands such as Hillson, Karam, Liberty, AlkoPlus, etc. 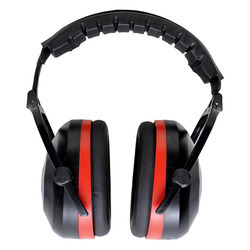 Key Features: Easy fitting for ear muff and face shield. 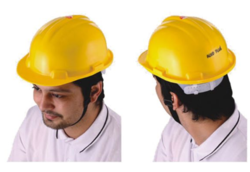 We also supply safety helmets in brands like Alko Plus, Udyogi, Shree Ji, Shreearc, Karam, Stanley, Activa, etc. 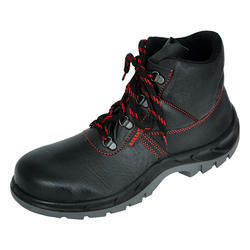 We also supply other brands such as Tiger Mallcom, Hillson, Bata, Neosafe, Safari, Acme, etc. 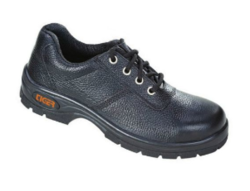 Tiger Lorex is one of the best selling safety shoes in India and for good reason. 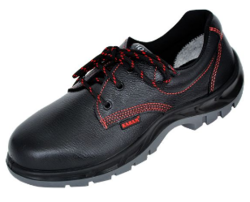 They are well designed and meet all technical specifications required for various industries. Nitrile Industrial gloves manufactured from acrylonitrile butadiene with a proven durability against solvents, oil, fats, and bleaching chemical agents. When fitted, it will protect the wearer's face due to the special wrap-around design. 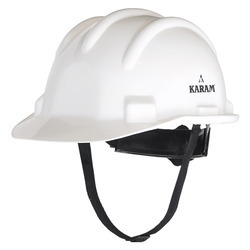 It fits most standard Safety Helmets which have a 30 mm slot and are best used with KARAM Helmets. This Welding Shield is certified to be used only in conjunction with a Safety Helmet, and should not be used independently. 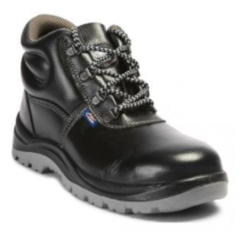 Extraordinary heavy-duty boot with extensively high performance. Extremely light in weight, weighing less than 600 grams (excluding hook). Attachment End: Comes with Aluminium Swivel Quarter Turn hook PN130 having impact indicator. Can also be used when Anchor Point is at foot level. 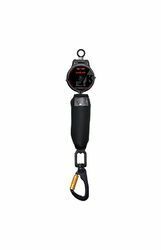 Fall distance is minimal as compared to EA Lanyards hence Retrieval of fall victim is easier. Can be easily carried, user friendly. 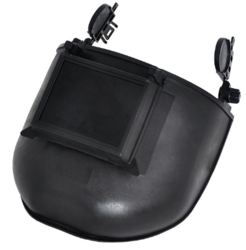 Plastic Head Bands Folds for dust free storage in pocket or a bay. 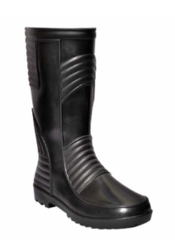 We offer a wide range of Duckback branded products like raincoats and gumboots. 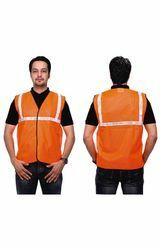 Reflective Safety Jackets in Orange, Green, Blue, and Yellow colors and available in various brands such as Alko Plus, Karam, Mallcom, etc. 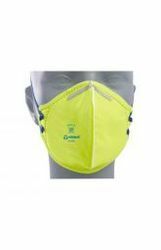 Venus Safety Masks cater to the need for respiratory protection in times of increased pollution. 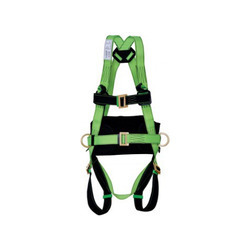 We supply a vast array of Venus Safety Products and have many clients buying them for its trusted quaility. We supply all types of road and traffic safety equipment that is mandatory in many projects nowadays. 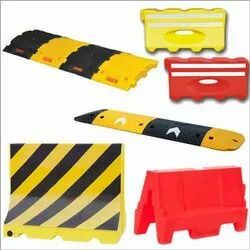 We have safety/traffic cones, speed breakers, reflective tapes, reflective jackets, barriers, etc. 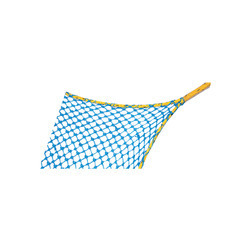 Made from high strength Polypropylene Ropes which are able to withstand the required load. Special Knotting of the meshes work towards effective Shock Absorption. Hence minimizing any impact related injury on to the worker. 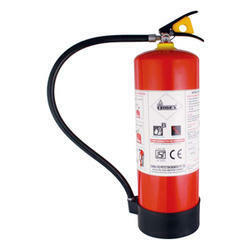 Looking for Safety Equipment ?